Having Alexa handy around the house is great for asking about the weather, adding items to your to-do and shopping lists, controlling your TV You Can Now Control Dish TV Using Amazon Alexa You Can Now Control Dish TV Using Amazon Alexa The Dish Network has launched a new Alexa skill that lets you control your DVR using nothing but your voice. But is this enough to stop you cutting the cord? 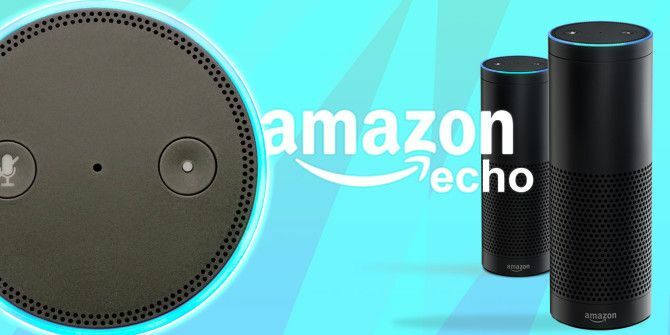 Read More , and even for following recipes Amazon Echo Can Now Read Cooking Instructions Out Loud Step by Step Amazon Echo Can Now Read Cooking Instructions Out Loud Step by Step If you have an Amazon Echo and aren't using it while cooking, this new feature will change your life. Never before has cooking from a recipe been easier! Read More in the kitchen. But you don’t even have to be within range of Alexa (or even own an Echo) to ask her questions. Do it from your browser! The official Alexa Skill Testing Tool, intended for people who are building skills that you can use with the Echo, can be used by anyone. You don’t have to be a developer working on an app. All you need is an Amazon account. After logging into the site using your Amazon credentials and granting the site access to your account (and to your computer mic), you can start asking all the questions you would of Alexa. Use Spacebar or click on the microphone button and be sure to keep holding down until you’ve finished asking your question. Alexa will respond as she does on the Echo, and if you already own a device, any questions you ask will be saved in your device history. Since this site is all about testing Skills, you can also set up Skills to use from your browser, but you will have to download the Amazon Echo app on your phone or tablet to set them up. Not all Skills will work as expected. The AllRecipes skill for example didn’t work as expected, and you would have to hold down the Spacebar to continue to interact with the Echo so it wouldn’t be incredibly useful. You can also use the site to remotely activate or turn off any smart home devices you have connected to your echo. If nothing else, this is a great way to test out the Amazon Echo to decide whether you want to buy one. What do you think of the Amazon Echo? Can’t live without it or another unnecessary piece of technology? Let us know in the comments. Explore more about: Alexa, Amazon Echo.